Whether you are building a new home or need to replace your current roof, you need to consider price, look and durability when choosing the right roofing material for your home. Consulting with experienced roofing contractors in your area can help narrow down the options and help you make the right choice. Asphalt is the most popular and affordable roofing material with easy to install shingles that come bundled in large quantities and provide good protection from rain and sun. Available in a wide variety of attractive colours, these shingles are lightweight, fire resistant, and quite durable. In addition, this material is relatively low maintenance and replacing sections of damaged or missing shingles won’t break the bank. Cedar roofing shingles are another popular choice because they are attractive and long-lasting with estimates ranging from 40 to 60 years. Cedar offers two distinct natural looks with either shingles or shakes to choose from. If you’re looking for a natural product that is very resistant to damage from the sun’s rays and even heavy winds, cedar shingles might cost a little more than asphalt, but make up for the difference in durability. Slate is considered the most durable and long lasting material used in shingles and is most often seen on older estate style homes and government buildings. This is a good choice if you’re looking for strength and durability in your roof shingles. 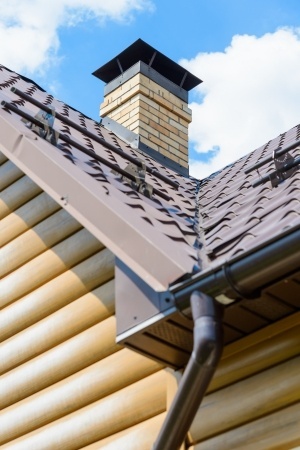 An experienced Newmarket roofing company will advise you that although this material is expensive and costly to install, it has a lifespan and durability that outdoes both asphalt and cedar shingles. Slate shingles usually last at least thirty years and with some routine maintenance, they can double their duration. This entry was posted in Home and tagged Asphault Roofs, Cedar Roofs, Home, Homes, Roofing, Roofs, Shingles. Bookmark the permalink.